We decided to head back to North America after having some trouble with our internet and computer. 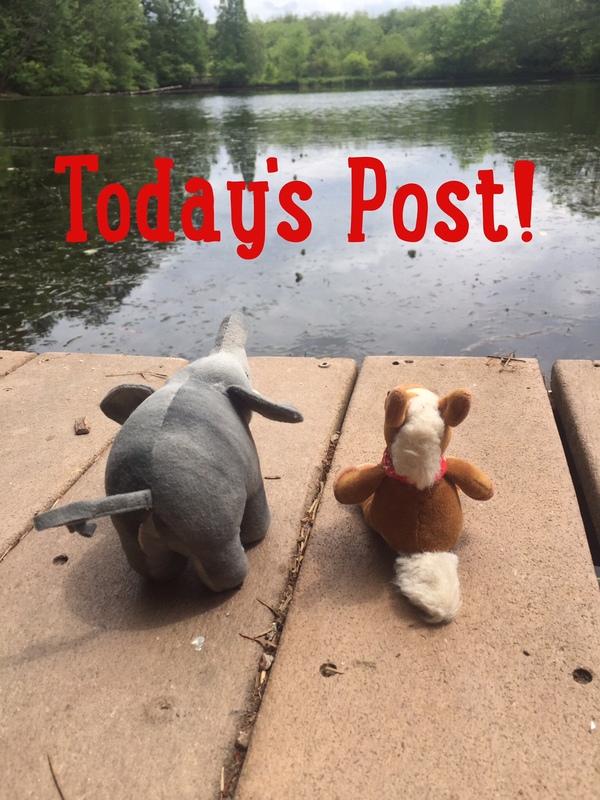 We set out to spend the day birding. The bird we were looking for lives in North and South America. They live on water, but they’re not ducks. We brought our favorite blanket, some hay snacks, a camera and our binoculars and spent the day watching the Pied Billed Grebe. Pied billed grebes have a dark bar on their bill. They are territorial and aggressive. 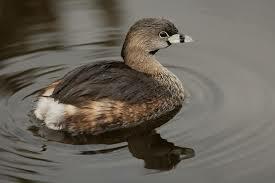 Pied billed grebes are water birds. 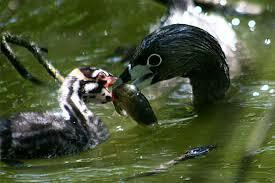 Pied billed grebes build floating nests. 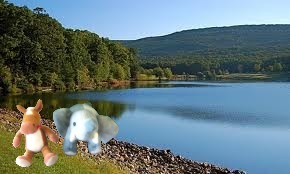 They are rarely seen flying. 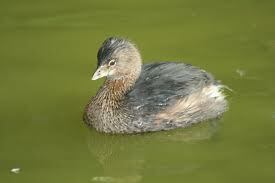 Baby pied billed grebes do not swim well at first and will ride on their mother’s backs. We had such a lovely day watching these interesting birds. We had to bundle up as cold weather has taken over much of North America. Some populations of pied billed grebes migrate to brackish waters in the winter; we think they should keep flying til they get to the beaches of Central America! Hahaha!